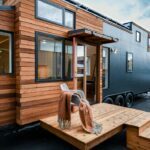 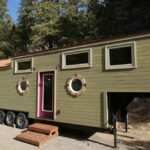 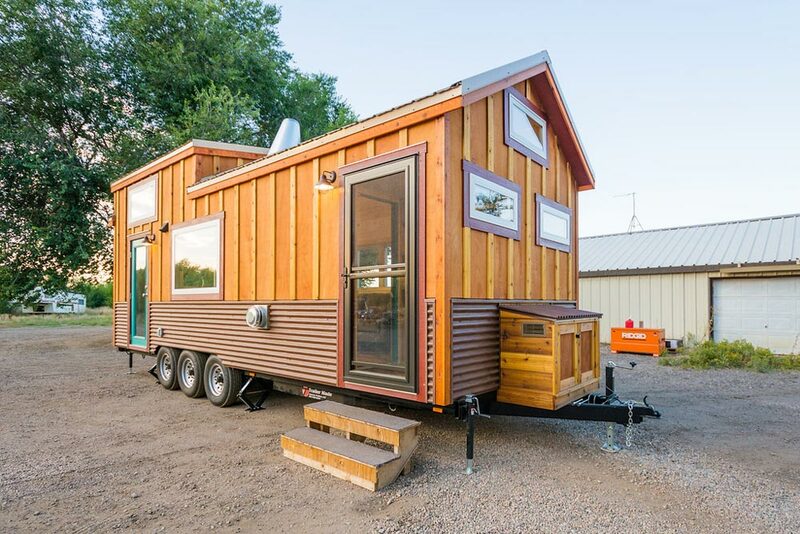 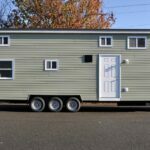 From Fort Collins, Colorado-based MitchCraft Tiny Homes is this over-width 26’x10′ tiny house on wheels. 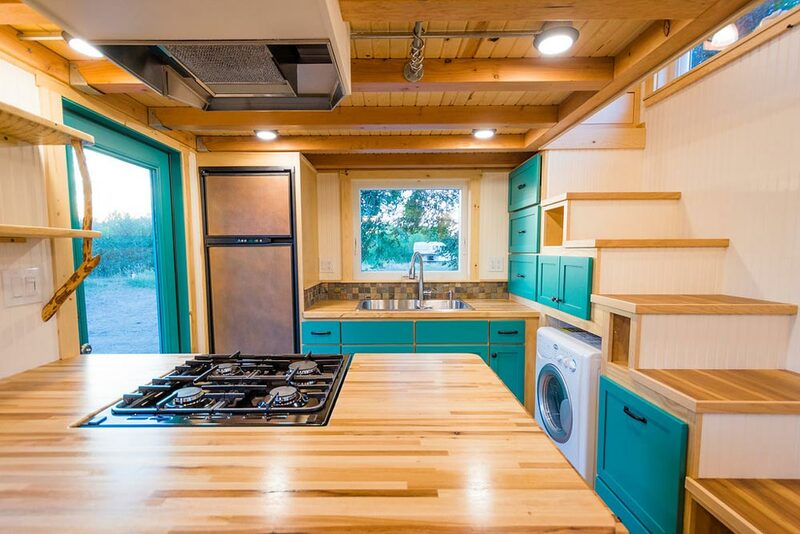 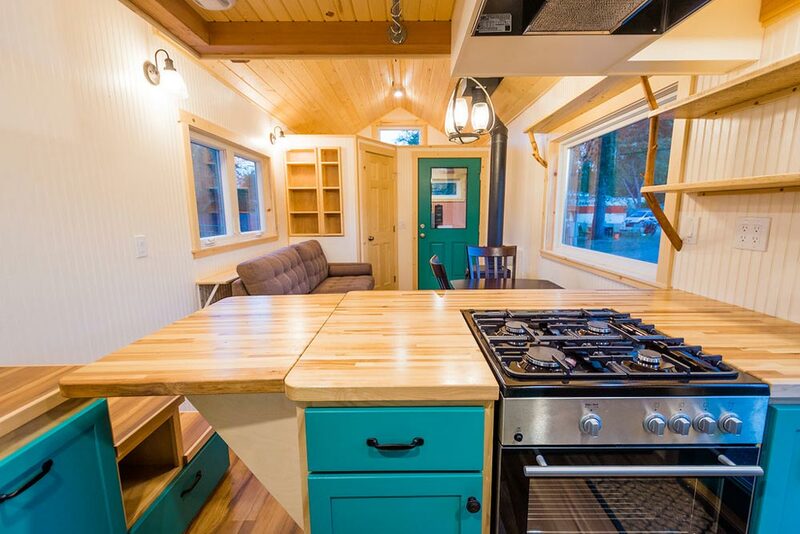 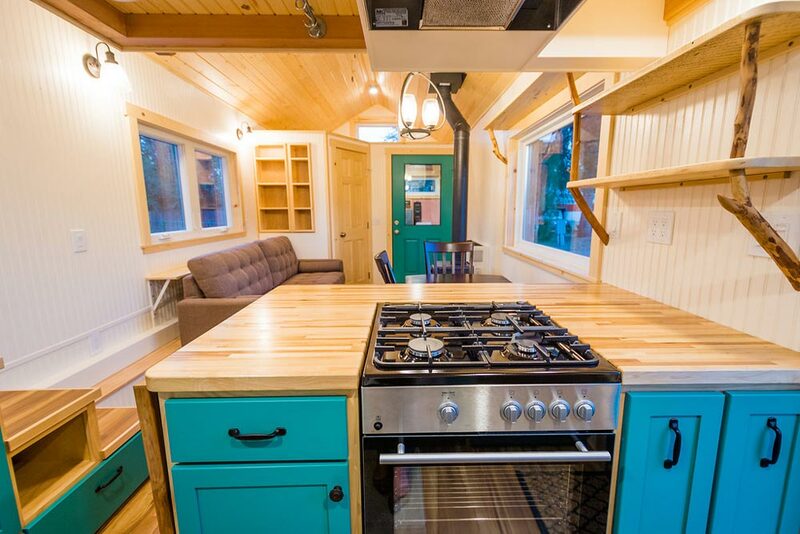 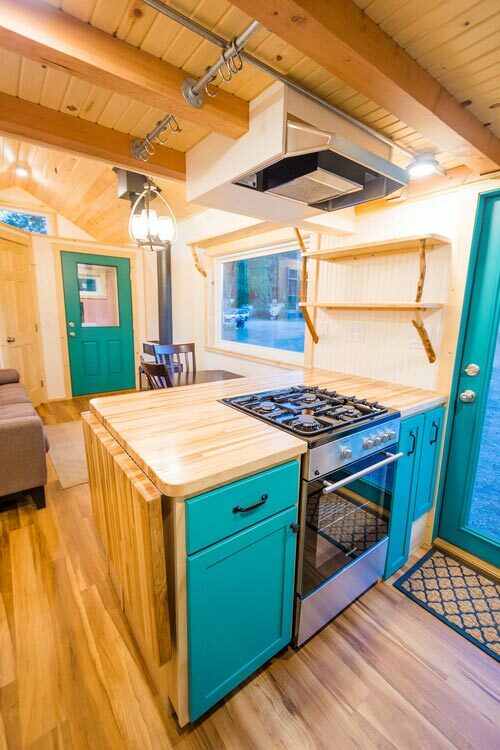 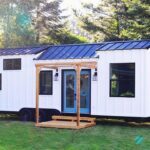 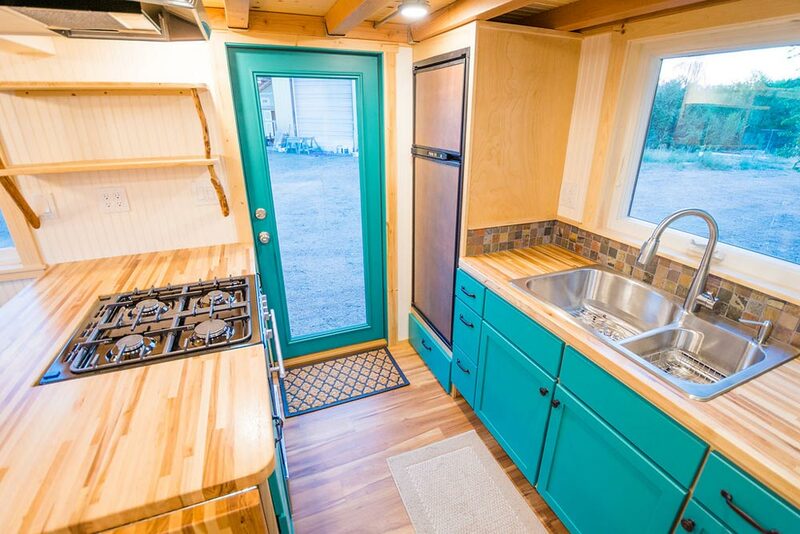 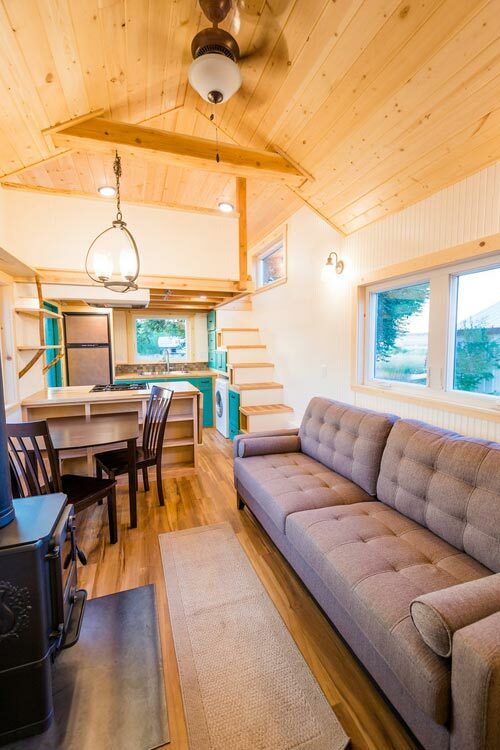 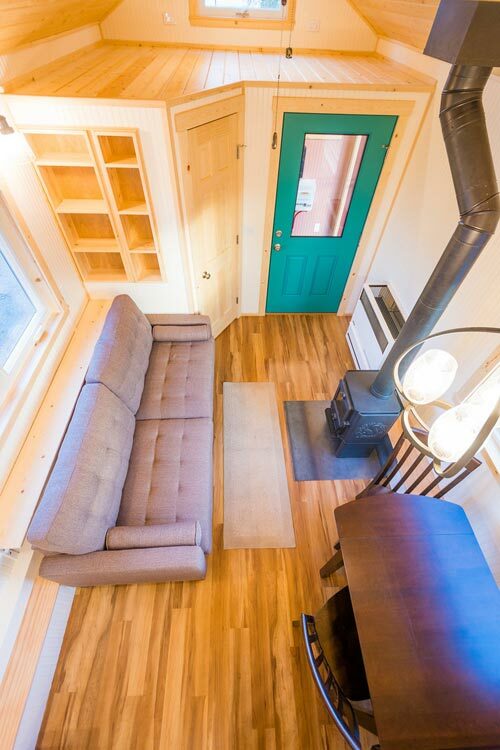 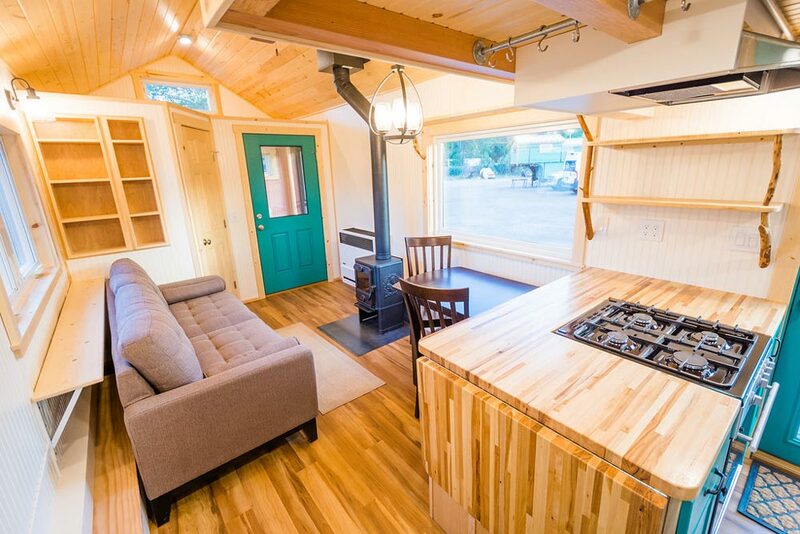 The tiny home was custom built for their client, Laura. 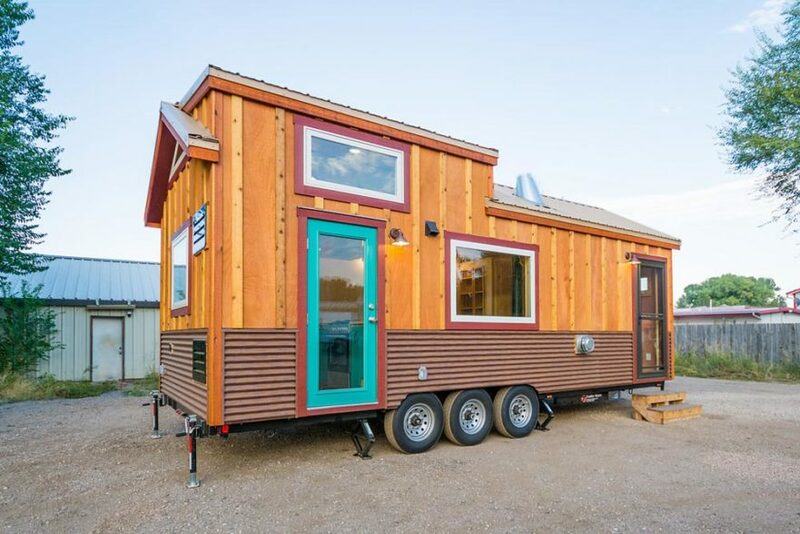 The exterior is clad in board-and-batten siding with a corrugated metal skirt. 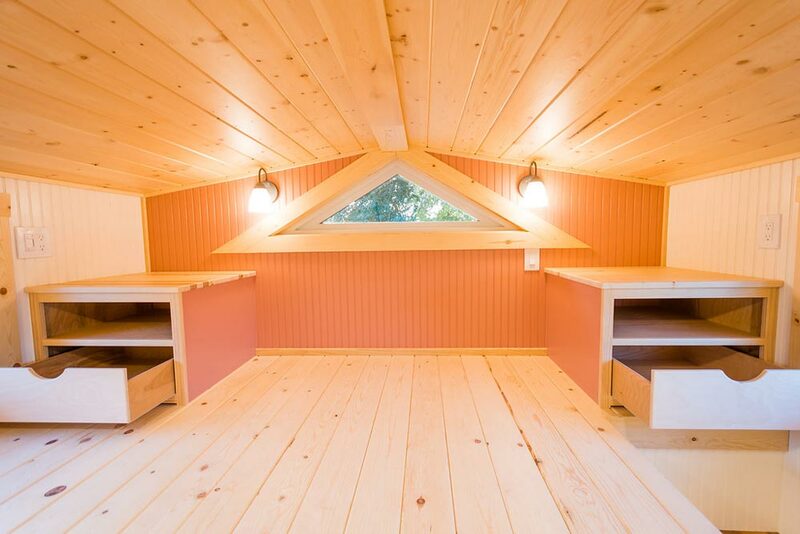 There are two entry doors — one leads into the kitchen and the other leads into a mud room. 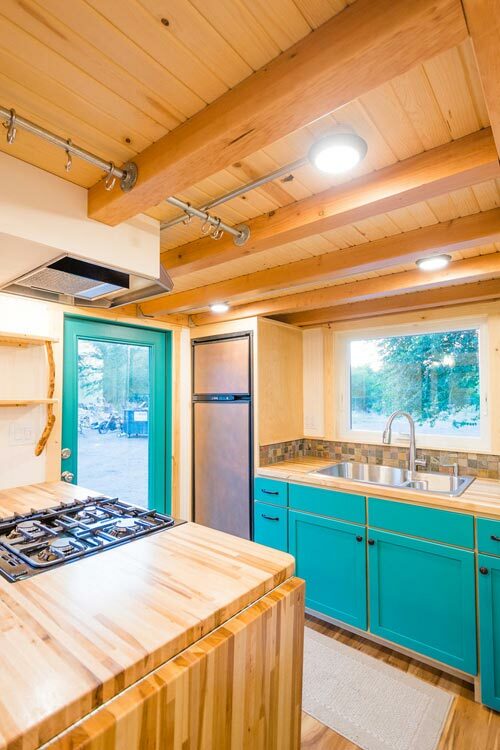 The kitchen features colorful green cabinets (Valspar Amazon Drift), butcher block counters with a drop down extension, and a box beam ceiling. 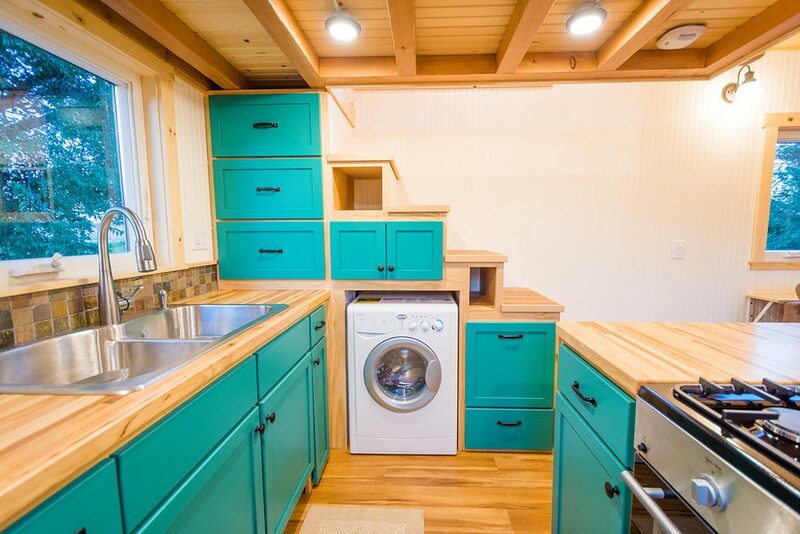 There is a gas range with venting hood, RV refrigerator, washer/dryer combo, and two bowl sink. 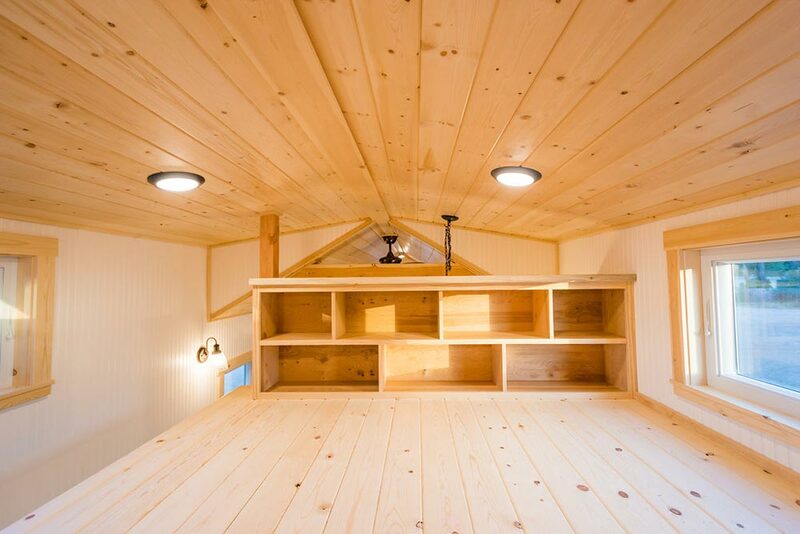 Above the kitchen is the master bedroom loft with storage stair access. 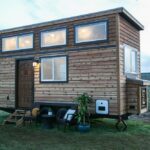 The bedroom has a standing area at the top of the stairs, built-in nightstands with drawers, and a large dresser space that doubles as a partial privacy wall. 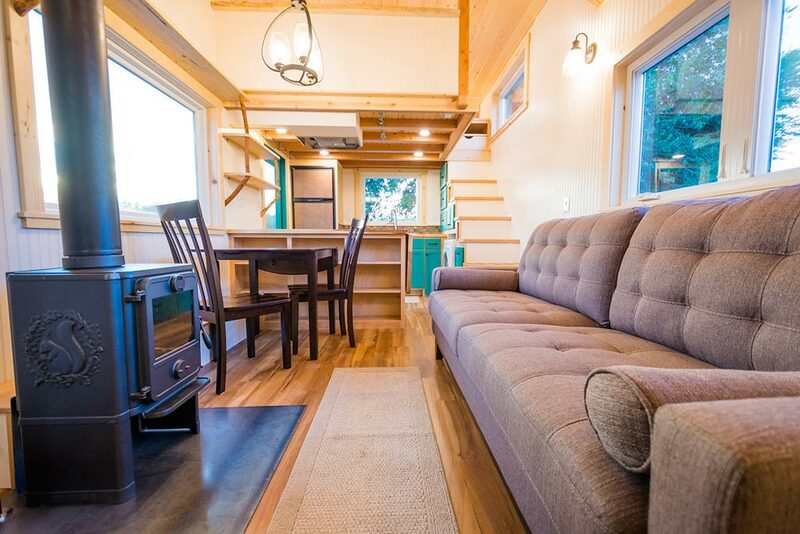 The main living area has plenty of room for a dining table, full size couch, and wood-burning stove. 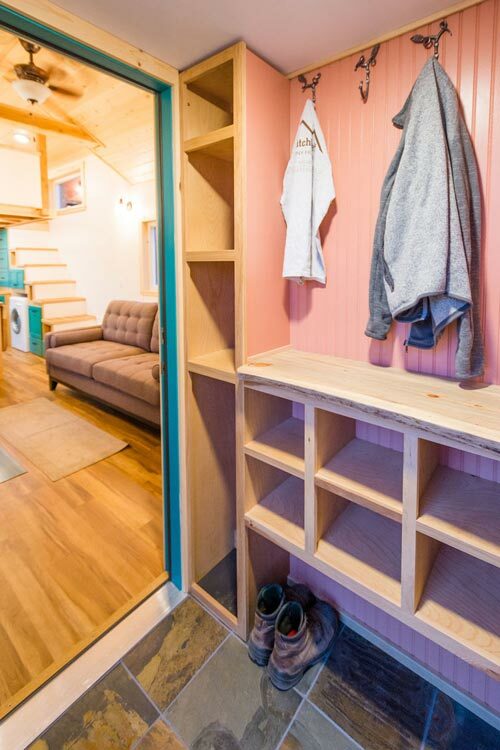 There is a shelf behind the couch and a built-in bookcase to the side. 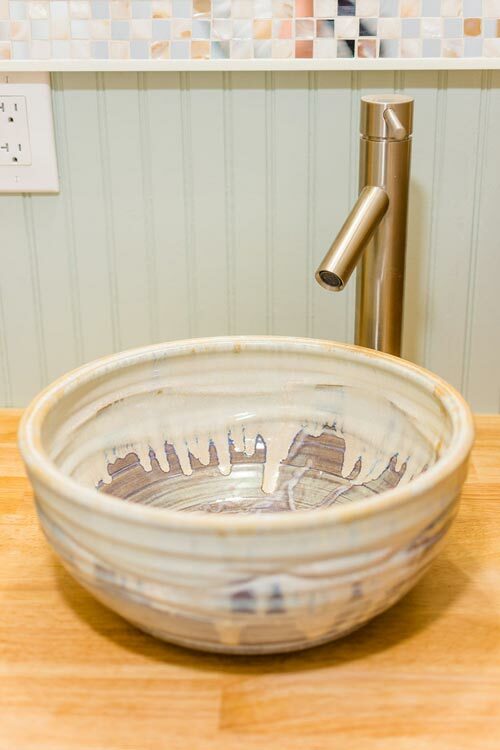 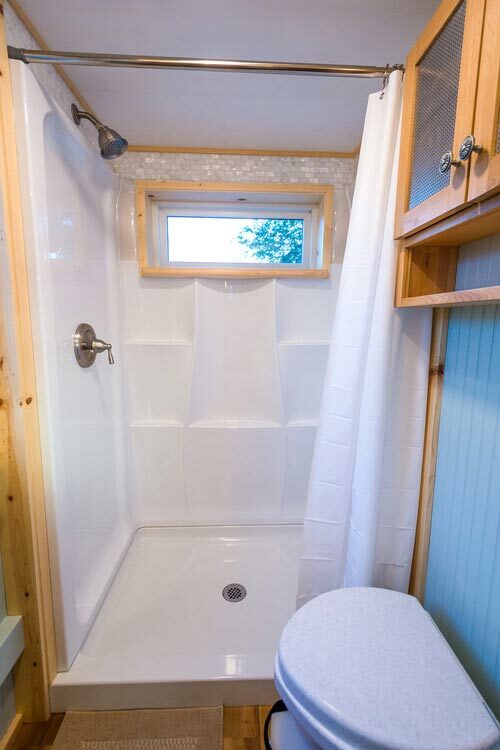 The corner bathroom has a custom vanity with vessel sink, fiberglass shower, and composting toilet. 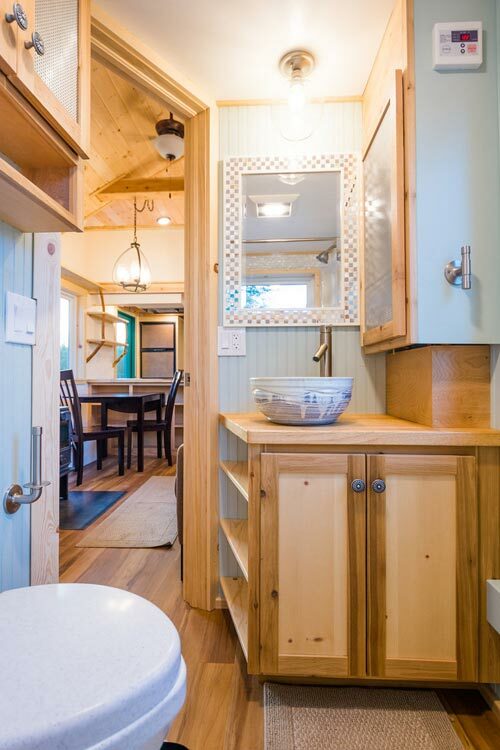 Next to the bathroom is the mud room with several storage compartments, a live edge wood shelf, and hooks for hanging clothes. 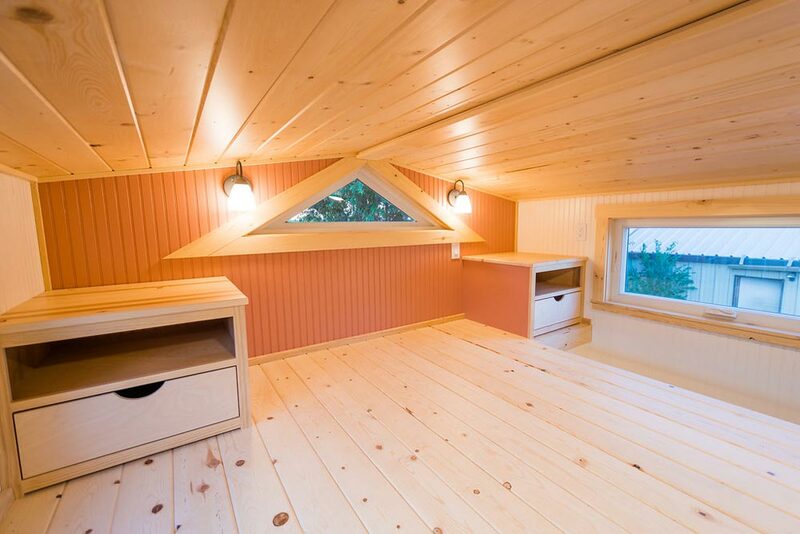 A storage loft is located above the bathroom and mud room. 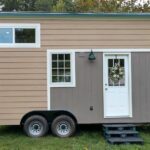 For more pictures and information about Laura’s Tiny House, please visit MitchCraft Tiny Homes.